It felt as if last Winter would never end living in NY. Now that we live in NC, I’m hoping that the winter will be a bit milder, which will hopefully reduce the number of winter colds. Unfortunately, winter colds are highly likely regardless where you live so I’ve put together my top tips for soothing winter colds when they do hit. Let them stick to their routine within reason. My youngest isn’t quite two and half yet and she absolutely loves running around in her diaper. She’s our last baby so we have a tendency to allow her to do it in the house more often than I ever let my oldest. We keep the house at a reasonable temperature so even if she’s not feeling like herself, I can feel alright about her running around in a diaper inside. It’s about bringing her comfort right? Try to make them as comfortable as possible. One thing that I have figured out over the years is that my girls need to be comfortable when they’re not feeling well. I rely on Member’s Mark Comfort Care Diapers for silky soft care on Avery’s delicate skin. I don’t want her feeling uncomfortable and I know that I can rely on Member’s Mark Comfort Care Diapers 12 hour leakage protection. The flexible leg gathers and Soft-Stretch® waist and sides let her move around freely and helps prevent leaks so that I don’t need to worry about her feeling uncomfortable when she already doesn’t feel like herself. Join me Thursday, November 19th at 12:00 pm EST on Twitter for the Member’s Mark Comfort Care Diapers Twitter Party. We’ll be talking all things diaper related! Get in as many fluids as possible. I constantly try to keep fluids in my girls throughout the day. I’m a larger believer in drinking eight glasses of water per day myself and I try to set that example for my girls. It’s not always that easy when they’re not feeling well though. I get in extra fluids by feeding her my Veggie Noodle Soup. Sneak in extra nutrients via fresh veggies. 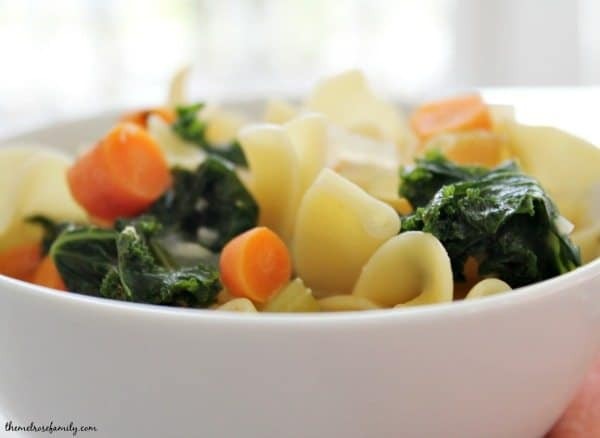 My veggie noodle soup sneaks in fresh vegetables that are full of vitamin rich nutrients. Personally, I would eat kale for breakfast, lunch and dinner. My girls, on the other hand, need to have it in smoothies or flavorful soups like our Veggie Noodle Soup. 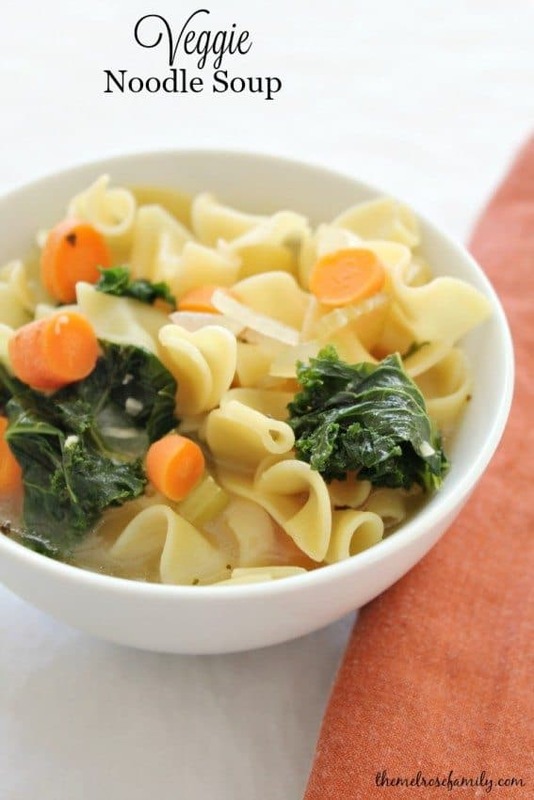 A Veggie Noodle Soup packed with fresh vegetables. In a large, deep pot saute the onion and shallot in the extra virgin olive oil until it is soft. Add in the garlic, celery and carrots and season with salt & pepper. Cook for about 6 minutes. Add in the chopped kale and let the kale begin to wilt. Once the kale wilts, add in the quart of chicken or vegetable stock and season with Italian seasoning and salt & pepper. Bring to a boil. Add in the package of egg noodles and let it simmer for about 15 – 20 minutes or until the egg noodles are al dente. 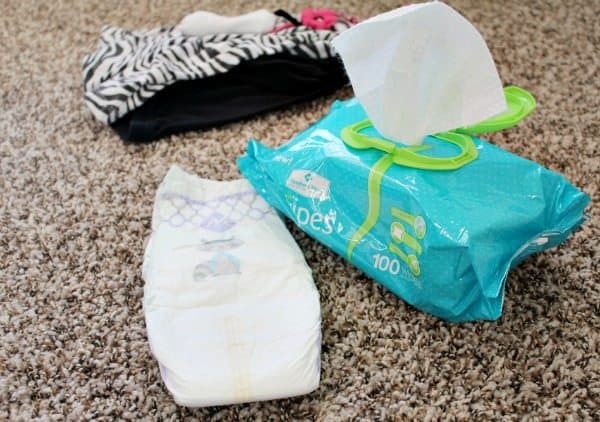 This is a sponsored post written by me on behalf of Member’s Mark Comfort Care diapers. Nothing like a Chicken Soup when you’re feeling under the weather. Love that yours includes Kale. I so agree! I sneak in kale every chance I get!